Corrie Ten Boom said: "In America, the churches sing, “Let the congregation escape tribulation”, but in China and Africa the tribulation has already arrived. This last year alone more than two hundred thousand Christians were martyred in Africa. Now things like that never get into the newspapers because they cause bad political relations. But I know. I have been there. We need to think about that when we sit down in our nice houses with our nice clothes to eat our steak dinners. Many, many members of the Body of Christ are being tortured to death at this very moment, yet we continue right on as though we are all going to escape the tribulation." "EVIL can be overcome by GOOD." Though the saying is well intended and maybe true from man's perspective, it is not...the truth...the whole truth...and nothing but the truth...from God's perspective! Because good fruit and bad fruit both come from the same tree nurtured by the same roots! 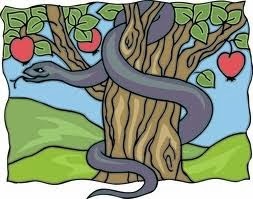 The tree in the midst of the Garden that Adam was instructed by God not to eat from was the "Tree of the Knowledge of GOOD and EVIL! If he did, he would determinie what is good or evi from his own intelect. 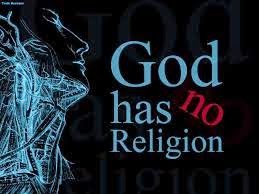 That is why today, the good of some religions are considered bad by different religions and the bad of some religions are considered good by different religions! EVIL cannot be overcome by the GOOD of Religion! Because the GOOD of Religion is: man's invention...man's initiation...man ordained...man's doing. "There is a way that SEEMS RIGHT unto man but the end thereof is DEATH." 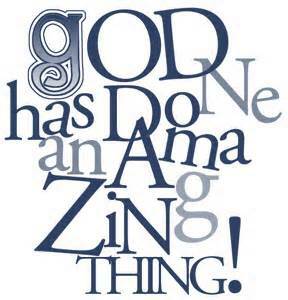 Jesus has DONE what He came to DO! Are we Spiritual Barren because we have Damed the River of God's Grace? 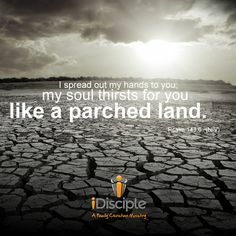 Religion depicts a dry barren parched land, void of spiritual vitality, where believers are cut off from the abundance of spiritual life flowing in the free flowing river of God's Grace. Those who find themselves in the desert of Religion are thirsting for living water but never find it because the river of Life is damed and its tributaries leading to the people in the Religious desert are blocked by religious sludge preventing the living waters of Grace from bringing a quenching to the thirsty soul, dehydrating them spiritually. God’s river of Grace flows downward, from God to humanity in response to the spiritual gravitational pull of humility. The egotistic arrogance of religion's self-sufficiency, like a magnet, opposes the spiritual gravitational pull of God's Grace because religious high places dominate the hearts and minds of God's people. Some Sunday-go-meeting-goers have...out of concern for my spiritual well being...asked the question as to why I gave up on God and the Church, because of my infrequent attendance and participation in what happens in the denominated building. My response was that I have not given up on God nor the Church, what I have given up on is Religion and its offspring denominations. This was puzzling to them because in their mind Church was the Sunday-go-meeting held in segregated denominated building. The seed of Antichrist produces another gospel that is no Gospel at all, and the majority of Christendom has fallen for the deception and is preaching that other gospel as the gospel of Christ. 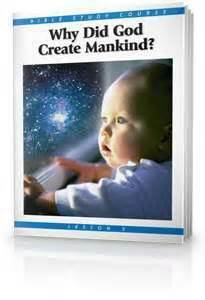 The seed of Antichrist produces the carnal human nature, which is the work of Satan. Antichrist means one who is against Christ. 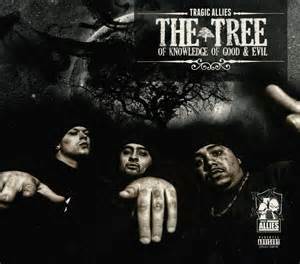 The word is Strong’s #500 - (an-tee'-khris-tos); from 473 and 5547; an opponent of the Messiah. "Because the carnal mind is enmity against God: for it is not subject to the law of God, neither indeed can be. 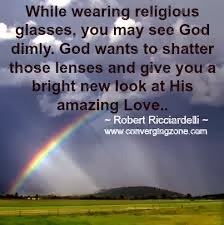 So then they that are in the flesh cannot please God" (Rom. 8:7-8). "But the natural man receiveth not the things of the Spirit of God: for they are foolishness unto him: neither can he know them, because they are spiritually discerned" (1 Cor. 2:14). Now here is the thing...This is not so much referring to sinners who live by their carnal nature as it refers to saints living and operating through their fleshly nature. 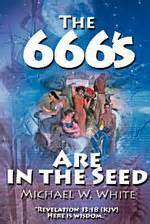 Whose seed are we allowing to grow and mature in us...The seed of Antichrist or the seed of Christ? Who is it that germinates the seed of Antichrist...The sinner or the saint? Who is it that germinates the Seed of Christ...The Law keepers or Grace acceptors? We are told to let the...tares and the chaff...those that claim to be believers, act like believers and call themselves believers grow among the true believers and God will do the separating of the false from the true in His timing? Why? Because no matter how spiritual we are, how bible knowledgable we are, what religious position we officiate in, how much we fast and pray or how righteous we think we are, we do not know the heart and mind of man...ONLY GOD KNOWS...He is the only one that can do the separation correctly! 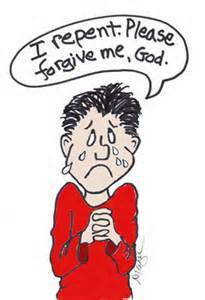 Is Repentance Necessary for Forgiveness? Forgiveness is not about forgiving someone who has wronged you because he comes to you and repents. Forgiveness is knowing the forgiving heart of our loving Father and forgiving the person who has wronged you realizing it was because of his ignorance and lack of understanding that he wronged you. Why could Jesus forgive the people who crucified Him? God is in the Spiritual-Life-Construction-Grace-Business...not in the Spiritual-Life-Destruction-Religious-Business. God wants to reveal the revelation of the Grace Gospel of Jesus to the proper understanding so that we will experience the amazingness of its fulfillment and realize that experience cannot be experienced by the religiously controlled person. As Christ is unveiled within you, there is going to be an expansion in your inner man that will cause mercy, compassion, forgiveness and love to flow out of you that will destroy any judgmental, condemnatory and hateful attitude you may have toward sinning sinners, and destroy the bad dude egoistical God syndrome you may have in that He sends people to torment in hell because they do not repeat the "sinner's prayer." Jesus said; "I am the Vine, you are the branches." The correct answer to that question would illuminate our understanding regarding the Gospel of Christ and how far removed the religious gospel is from God's plan and purpose for the Community of Humanity. The religious gospel is mainly about people going to heaven or hell, and the purpose of Gospel is to save man so they will go to heaven and escape eternal suffering in torture chamber of hell...a figment of man's defiled imagination...at least in the way it is taught by hell-fire and brimstone adherents. Jesus' prayer was "thy kingdom come, thy will be done on EARTH as it is in heaven." The Gospel is not about getting the atmosphere of earth to heaven...can you imagine the hell-hole heaven would be if that were the case....The Gospel is about getting the atmosphere of heaven to earth...can you imagine how heavenly on the earth that would be! How many different denominated groups are in heaven? How many segregated church buildings are in heaven?